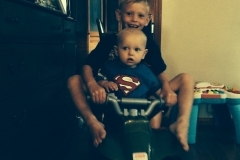 Shane’s Future Days is a 501(c)(3) non-profit foundation whose mission is to raise awareness, research funds and assist families currently battling alveolar rhabdomyosarcoma and other high risk childhood cancers. EIN: 47-2556395 . 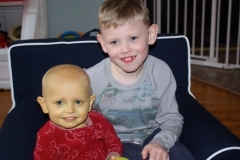 Click below to learn more about this rare childhood cancer and what we can do to fight it. What does your donation goes towards? Rhabdomyosarcoma is currently non-curable pediatric cancer and your donation goes directly to the research to help fight it. Seems simple right? You, just list them off. How do you answer that question when one is missing? They were physically here with you. Laughing, crying, a vital part of your family? Most of the times it’s strangers who ask. It doesn’t go much further than…what are their ages? Boys or girls? However, at times these people who ask are neighbors, new acquaintances, etc. There in lies the uncomfortableness of it all. People either accept you or ignore you after they find out. I haven’t found it to be any different…unfortunately. September. It’s a tough month for any kid. They go back to school after what seems like a brief moment of freedom. 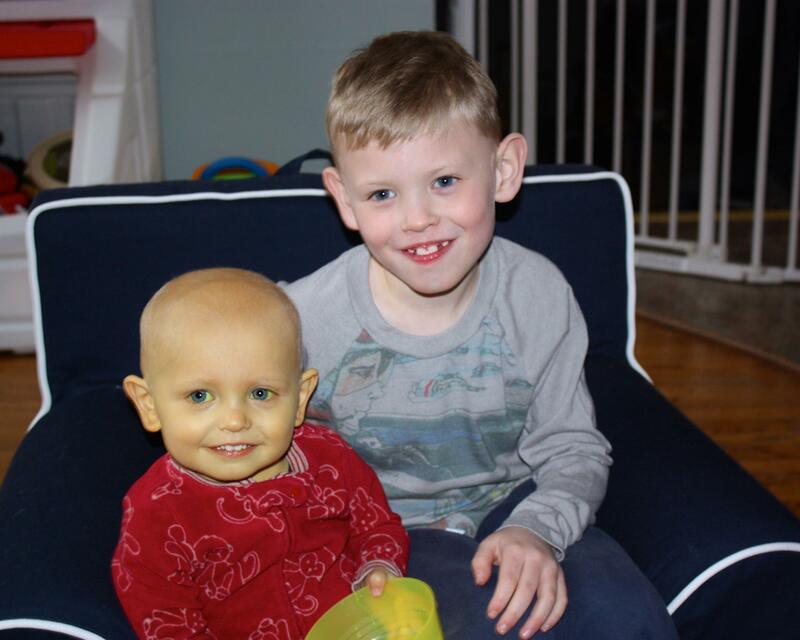 For Chase and Ella, it’s not just the start of a school year, but also childhood cancer awareness month AND their new brother’s birthday month. While Paul and I sort through our own feelings, I thought it was best to just ask them how they are handling it. School is going great. Both love their teachers and their classes…win win! “We miss Shane and Will reminds us of that.” Both look at each other and Chase explains that Will is just like Shane in that he looks like him (and himself) and he loves to play. 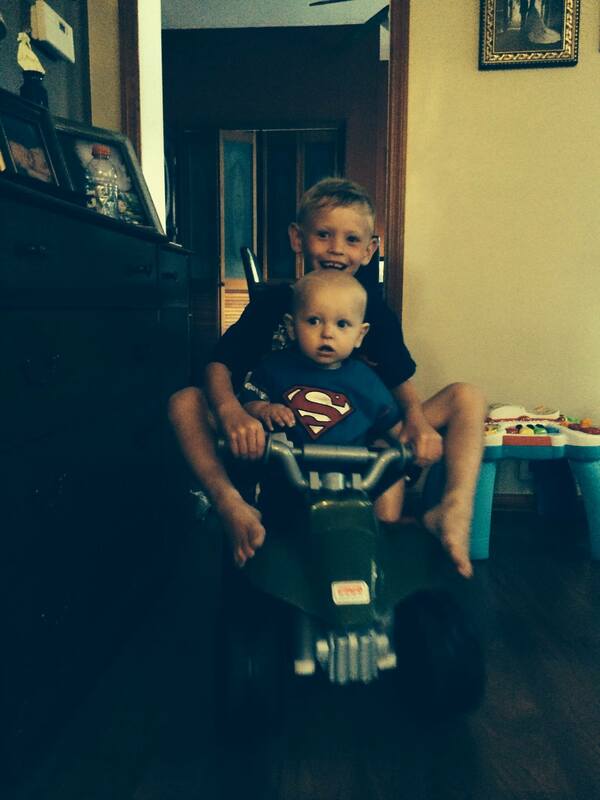 Chase said Will is always up to chasing him around. I do know. Shane loved to tease Ella. He used to grab her dolls and run laughing his high pitched little giggle. He used to take the clothes out of the bin faster than she was putting them back in. Most of all, he took her beloved “Georgie.” Will does too…all in good fun. We talked some more and they too realize the bittersweetness of celebrating Will’s birthday. They are both super excited, but with a twinge of sadness. We discussed other thoughts and feelings a bit more about the addition of Will to our family, how we grow together with Shane by our side and the healthy balance Paul and I have created for our family. Chase and Ella both said that they never feel like we put the memory of Shane higher than themselves. Whew. We are doing it the right way. We want them to always remember Shane and know that the foundation and the work we do is very important. We never want them to FEEL as though they are not as important. 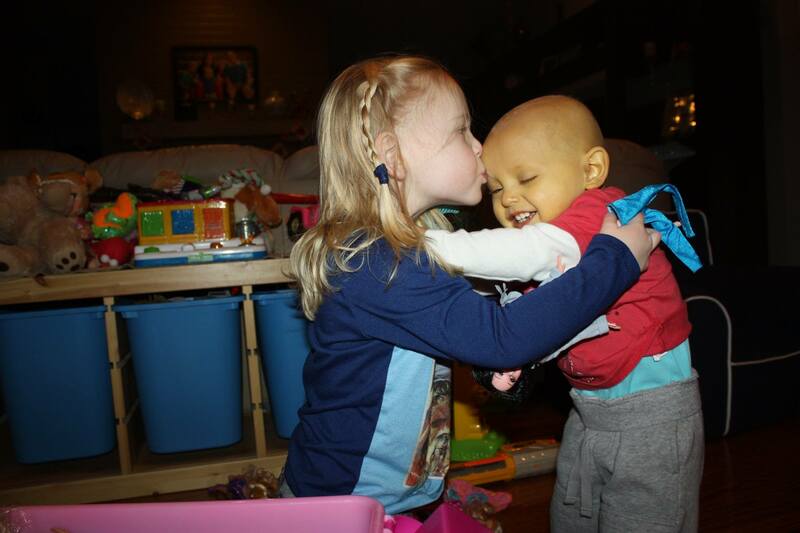 In the world of childhood cancer, I call that a win. It was a beautiful day, albeit a bit humid and unseasonable hot….more than I expected. I’ve been spending the days as busy as I can be. It helps take my mind off of wandering thoughts and nagging ones. This week, we will celebrate Will’s 1st birthday. It’s been an incredible year with a remarkable little man. So much about him reminds me of Shane and yet he is his own person. This is the tricky part. We are blended. Our life with our child (literally a baby) who has cancer. Our life with the loss of our child to cancer. Our life with the loss of one child and the blessing of another. It’s hard to balance the scale at times. Did you ever wonder if there is a connection between our loved ones who have passed and those here on Earth? Even if they have never met? Will and I were jamming in our room. The song “True Colors” from The Trolls soundtrack comes on. Will crawls to me and gestures for me to lift him up. Then points to Shane’s picture on the dresser. What he does, brings tears to my eyes. He puts his head to Shane’s picture and puckers up a kiss. He then grabs the picture and wants down. That was the moment I was able to capture. The rest was unexpected and filled my heart. Back story: The song “True Colors” was used in a childhood cancer awareness video featuring CHOP cancer patients. 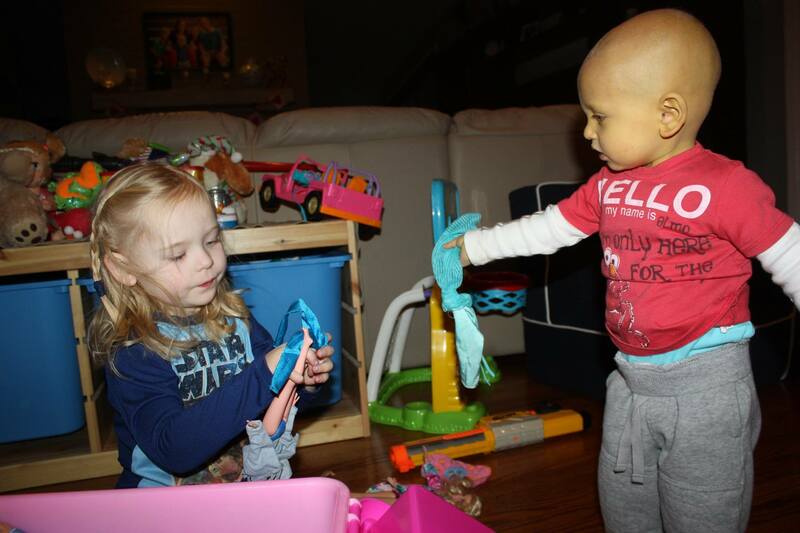 Some of those patients were Shane’s friends…Antonio and Cassidy. Ella in particular cherishes this song. Every time she hears it, she thinks of Shane and Antonio. How would Will know all of this?